An example of rendering with Mantra and compositing with a flipbook render of Hidden Line Invisible. Saved out the composit to .png file, which was transparant and I had to add a background color in post. 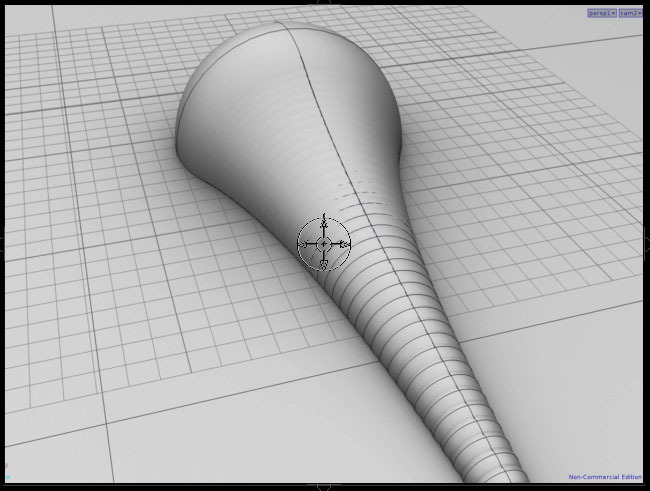 The shape is a test of the Houdini Duplicate function of a single sphere reducing the scale for each duplication. 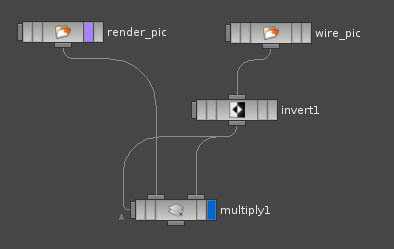 As my view is setup for black background; I had to insert an Invert node between the Wire Image File and the multiply function; to give the above result (see network above). A first attempt using the Composite features of Houdini, which I now feel comfortable experimenting with for image manipulation.